FORT WAYNE — In announcements made by the NCAA Tuesday, April 18, the Fort Wayne Mastodons and Manchester University Spartans were selected to host a total of five separate NCAA basketball championships events, starting in 2019, all taking place at the Allen County War Memorial Coliseum. 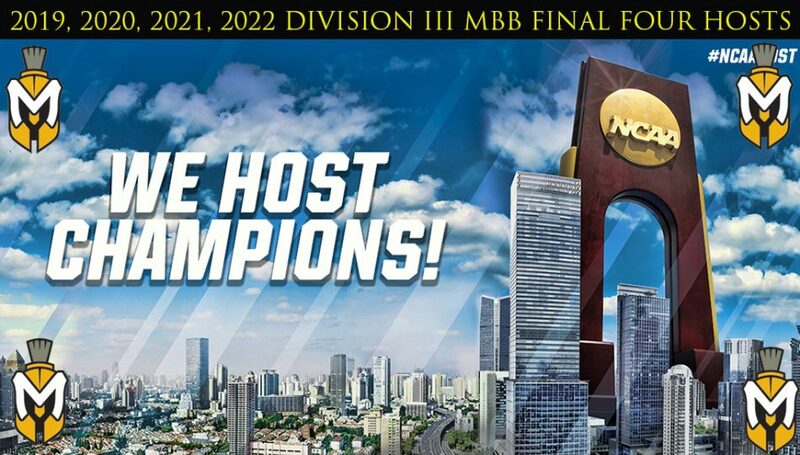 For Division III, Manchester University was selected to host the men’s basketball Division III Final Four in 2019, 2020, 2021, and 2022. Dates are March 15-16 (2019); March 18-19 (2020); March 19-20 (2021); and March 20-21 (2022). The successful bid process concludes what will be a 23-year stay in Salem, Virginia, at the end of 2017-18. The last time the Division III men’s basketball Final Four wasn’t in Salem was 1995, a year Manchester University fans remember well as the Spartans, under the guidance of former head coach Steve Alford, made their memorable run to the national championship game in Buffalo, N.Y. Visit Fort Wayne estimates that the economic impact for the local community will be $575,000 for each of the four years that the event was awarded to Fort Wayne.